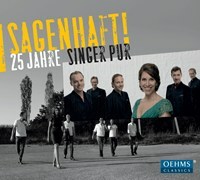 Home / Classical Music / Vocal / Sagenhaft! The vocal ensemble Singer Pur will celebrate its 25th performing jubilee in 2017. The first public performance of the ensemble on March 8, 1992 at a benefit concert at the Cologne Philharmonie laid the cornerstone for an international career. 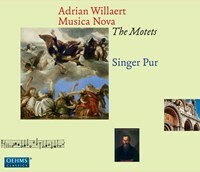 So far, the sextet has sung in over 50 countries and is considered one of Europe's leading a-cappella formations. Its high ranking is reflected by numerous honors, including the Bavarian State Prize for mUsic, the Caeciliaprijs and three Echo Klassik prizes. At the jubilee concert on March 8, 2017 at the Prince Regents' Theatre in Munich, the ensemble will present a programme showing the entire spectrum of its activities - ranging from works performed during the ensemble's early years to a world premiere. If you like Sagenhaft!, please tell your friends! You can easily share this page directly on Facebook, Twitter and via e-mail below.